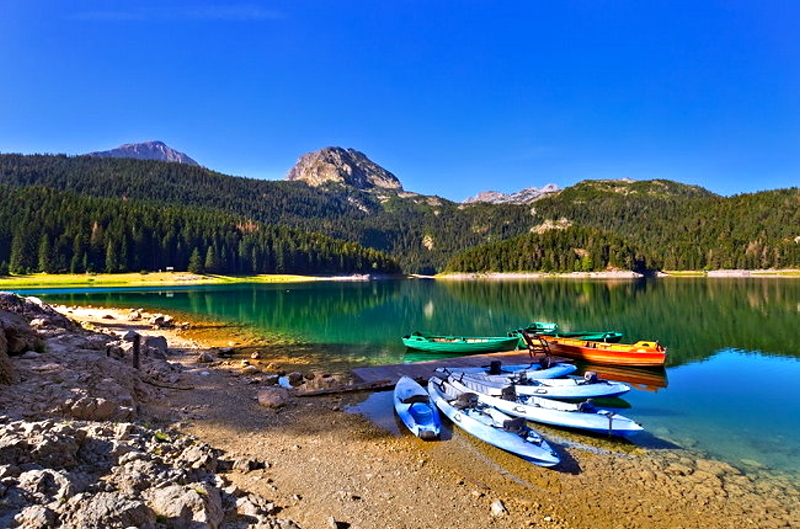 This tour is designed for all nature and adventure lovers made to combine all the places that make Montenegro wild and wonderful – beginning with the beautiful coastline of Kotor and Risan Bay; driving up to the high elevations of the Durmitor Mountains; admiring the deepest canyon in Europe - the river Tara; hiking around Black Lake and visiting the most famous and mysterious spiritual spot in the Balkans – the Ostrog Monastery. An overall memorable travel experience! Meeting point is in front of “360 Monte” Travel Agency office in the Old Town of Kotor. We begin from our meeting point at 7:10 am. After 20 minutes we take our first photo stop at the outskirts of the baroque town of Perast. A short distance from the shoreline you’ll be able to capture perspectives of two famous islands – Our Lady of the Rocks (artificial) and Saint George (natural). 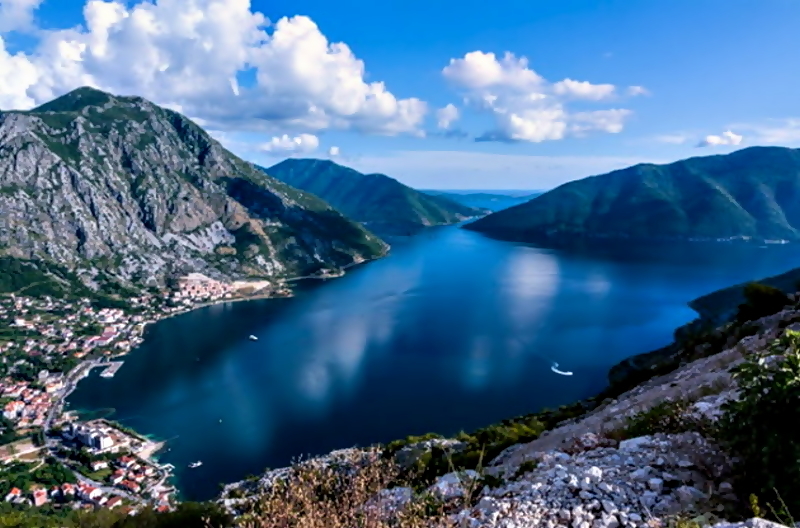 After our brief stop in Perast we´ll continue our North Montenegro tour towards the higher elevations of Montenegro. As we begin the drive up into the surrounding mountains, a reflective panorama of the Bay of Kotor will reveal itself below. Often, instead of deep blue water, we can see morning fog filling the bay, offering a more mysterious impression. We won’t miss an opportunity for a photo stop along the way to capture this amazing scenery. We continue our trip towards Nikšić, the second biggest city in Montenegro. 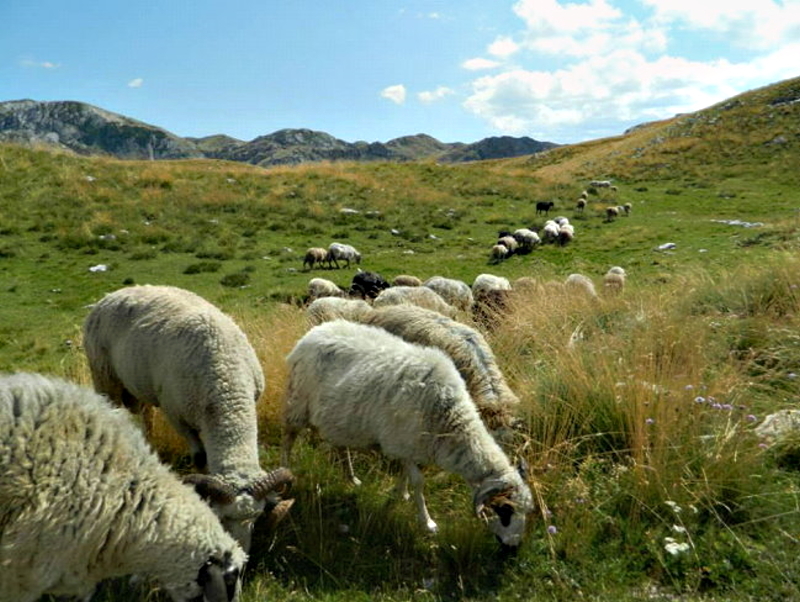 Driving through the slopes of Orijen Mountain, we pass the small picturesque village Grahovo, surrounded by classic mountainous countryside of Montenegro. Just before we arrive in Nikšić (where the best Montenegrin beer is made), we’ll take another photo stop at the beautiful Salty Lake (Slano Jezero), one of two big lakes that surround this historical city – We’ll also view the other one, Lake Krupac, along the way. After about 2 hours of astounding natural landscapes, we’ll take a much-needed breakfast break, enjoying tasty local food and drink. 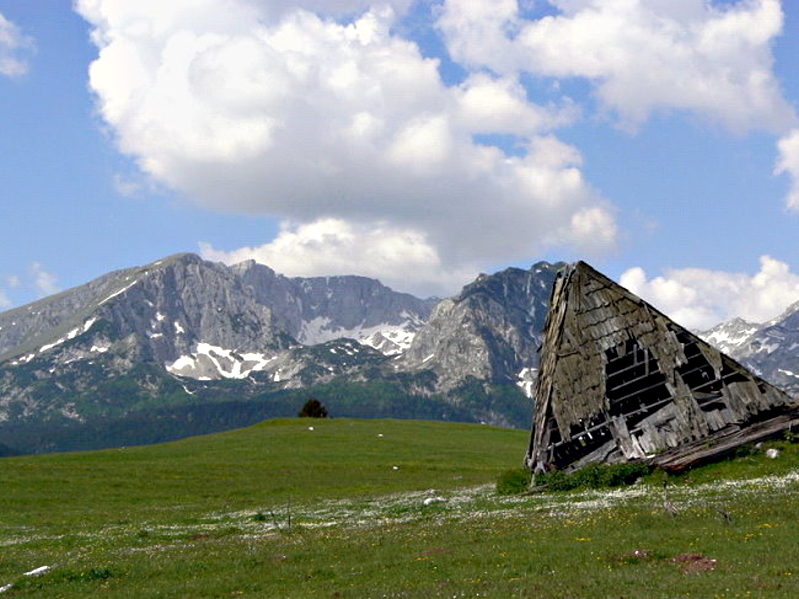 From Nikšić we continue towards the Mountain of Durmitor, where dramatic rocky peaks rise high into the sky. Along our route we’ll pass dense pine and colorful deciduous forest. 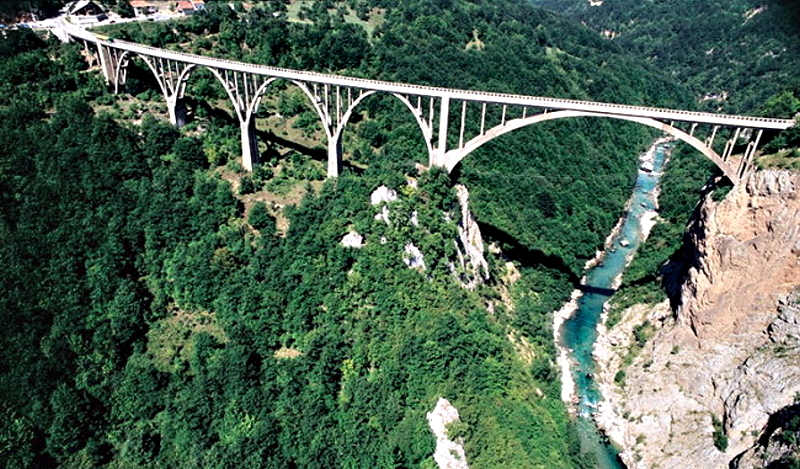 Our next stop is the Đurđevića Tara Bridge – the highest in Europe when built in 1940 - spanning the renown Tara River. If so inclined, time will be allotted to cross the 365 meter long bridge, 172 meters above the canyon floor. 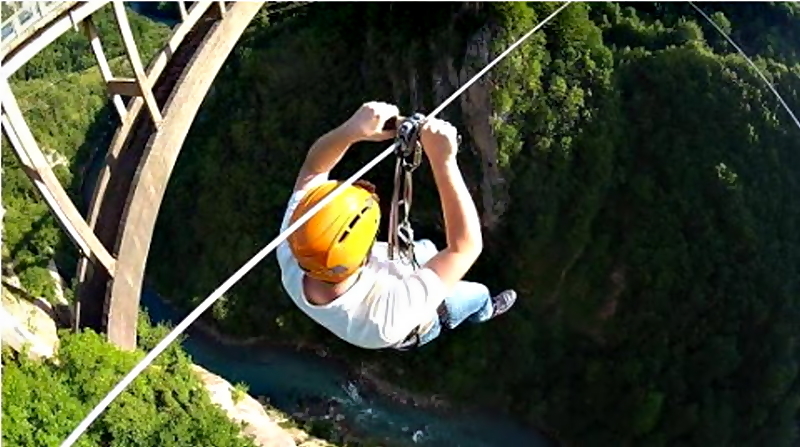 During this 30 minute break,don’t miss your chance to try-out the longest zip-line in the region, crossing the river from a bird’s-eye perspective! 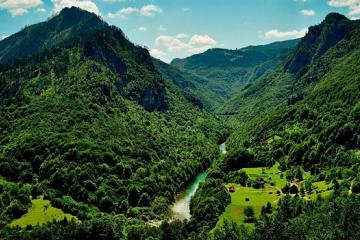 The Tara is not only the longest river in Montenegro (length of 144 km) – it also has created the deepest canyon in Europe (1,300 meters). This turquoise wonder is called by many “The Tear of Europe“, being very pure and completely drinkable. 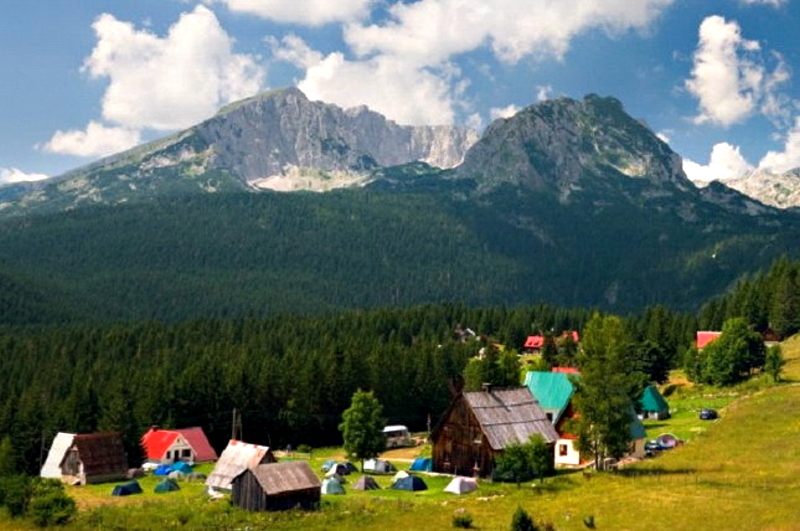 Our next destination is Žabljak, the highest town in the Balkans, located at 1450 meters above sea level. 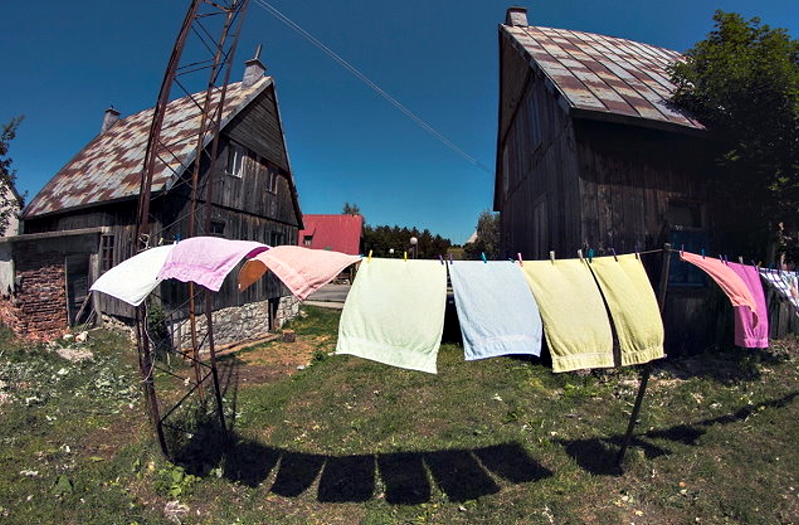 This popular tourist winter and ski center hasn’t lost its traditional countryside spirit. Comprised of many mountain houses with steeply-angled roofs extending to ground level; hand written boards advertising domestic products; small wooden restaurants and bars; and, sheep and cows wandering about. 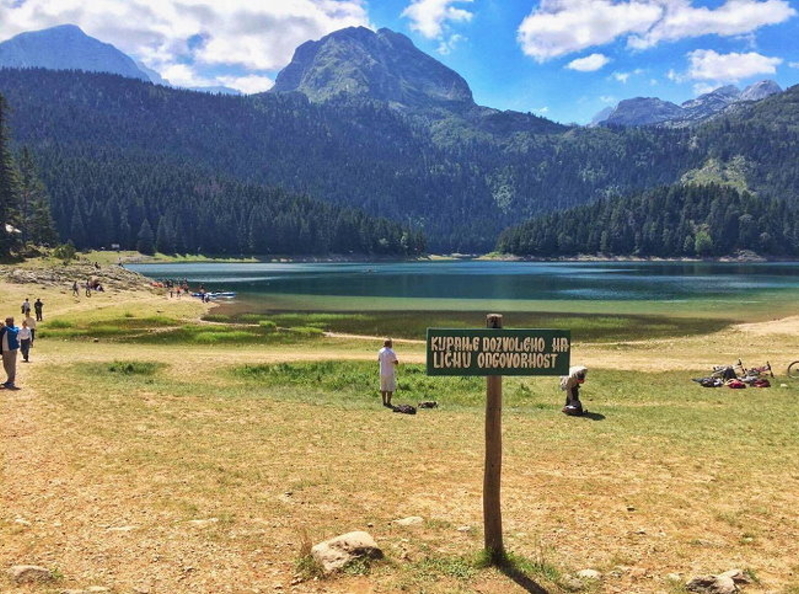 We go straight to the hidden jewel of Durmitor National Park – the majestic Black Lake. Since the lake consists of two lakes combined in one (depending on the time of the year and the amount of water) - from above it appears like a pair of clear blue eyes, giving the impression that the mountain is looking back at you. 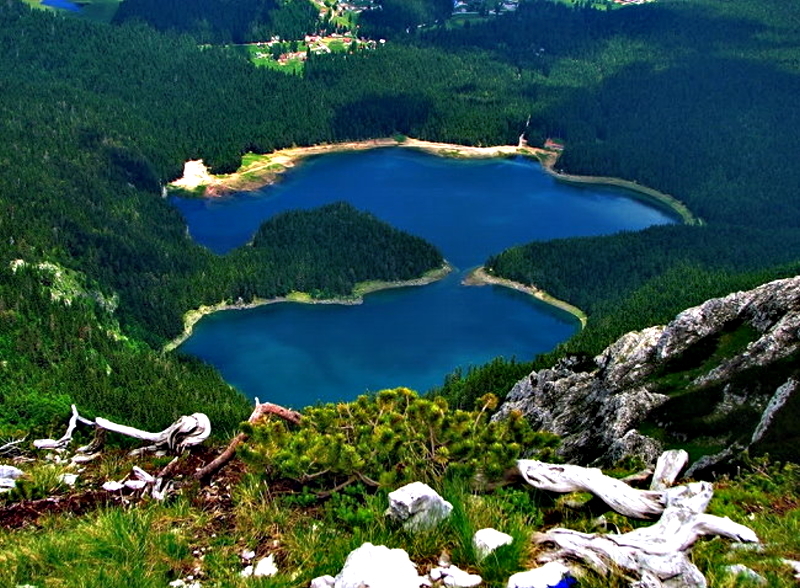 This lake is among 18 glacial lakes above 1,500 meters elevation on Durmitor Mountain. All together they are called “Mountain Eyes”. Black Lake also known as "Mountains eyes"
For a full experience of this pristine and wild environment, we’ll take a one hour break to hike around the 4 km trail around the lake, to go swimming (only in summer months), or to simply relax and breathe in the fresh mountain air while enjoying the view of Bear’s Peak, rising majestically above the thick pine forest. It’s already 3.00 pm and time for well-deserved lunch break! Do not miss to try our local specialties. 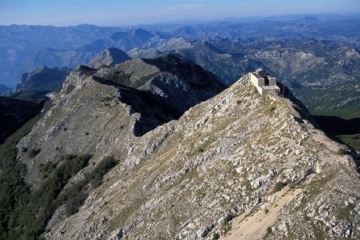 Time to hit the road towards the most visited spiritual and mysterious place in Montenegro – Ostrog Monastery. Nearing sunset, we’ll begin our ascent up the narrow and winding road, enjoying spectacular views of the highly-perched monastery in the effects of the setting sun. If you are lucky, you may have an opportunity to observe bare footed pilgrims climbing up the 3 km long road, in order to reach this holy place and sleep over in the monastery yard. 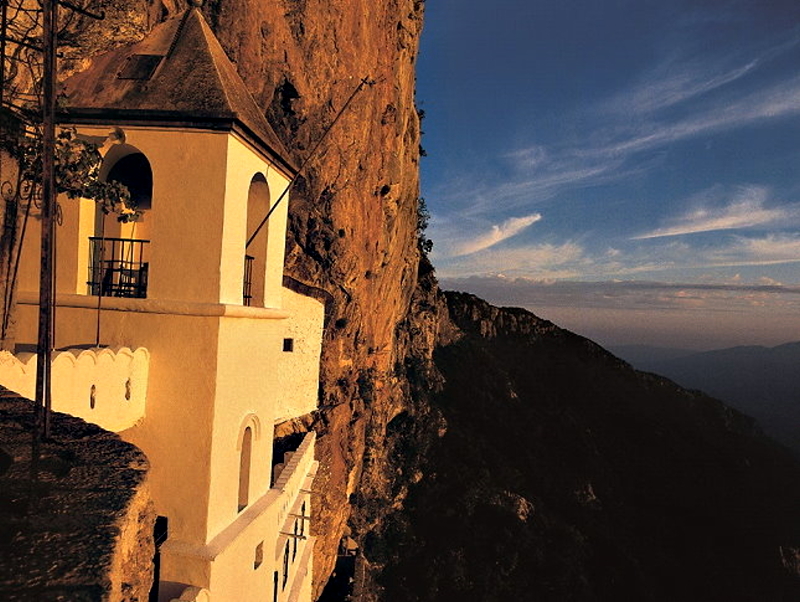 Ostrog was built in 1667 by the monk, Vasilije Ostroški, who lived and died there. His relics are now preserved and considered miraculous. This place gives a good insight into the history of the conservative Orthodox tradition of Montenegro. People from many different countries come to venerate the holy relics of the saint and to ask for help and healing. There are a lot of documented evidences of miraculous healings after visiting the holy relics. Around 6 pm, amidst the surreal influences of the setting sun, it’ll be time to sum up our impressions and return back to our beloved seasidebase – Kotor, where we’ll arrive around 8.30 pm. When applying, please have in mind summer traffic jam and unpredictable delays on sights, so the returning time could be later than proposed. Meet the knowledgeable guide SLAVKO. He first bring us to the Lady of the Rocks to capture the beautiful photos in the early morning. 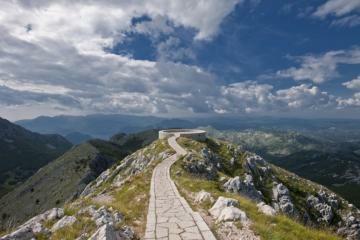 After having the great morning breakfast, we head to the highest point to overlook the Kotor Bay. We enjoy the dishes in lunch he introduced, delicious and reasonable in price! During the visit in Black Lake, we enjoy the peaceful place but we didn’t walk around as we had walked Bled Lake before. 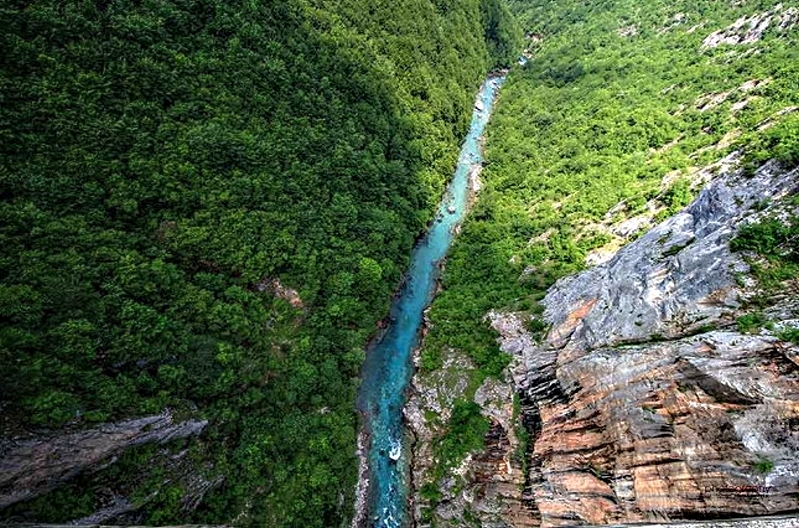 If you like Zipline, Tara River Canyon maybe your choice. 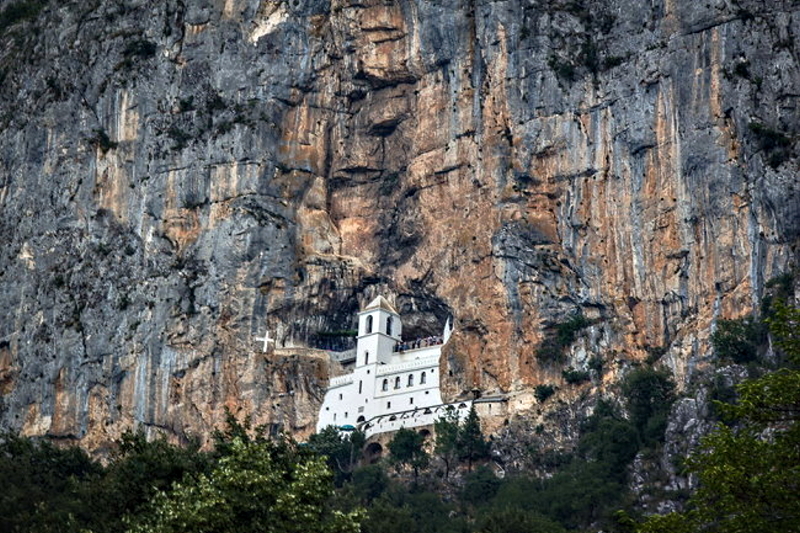 At last we headed to the Ostrog Monastary, the important one sightseeing point erected in the mountains. We enjoy a lot and back to Kotor. Thanks to Slovakia for his details explanation and bring us to the auto bus station to buy tickets! Highly recommended this guide and the tour for those enjoy nature’s scenery. We really enjoyed this day tour which packed in so many beautiful locations and yummy traditional food experiences. Luka is an excellent guide who was extremely knowledgeable, enthusiastic and engaging throughout the almost 14 action packed hours! Roco our driver got us everywhere safely and ontime. I cannot recommend this tour company enough. They organised our transport from BUDVA to kotor for both tours we took with them. Value for money and quality of the experience was top notch. I would certainly use this company again for my next trip to Montenegro. My partner really enjoyed the opportunity to zipline over Tara Canyon and we will never forget the sights. Thanks to luka and the team. The tour guide Luka was pretty good, and other members were also nice. The tour was a bit busy but it enabled us to see most of the highlights apart from Budva & Sveti Stefan in Montenegro in a day. This tour was brilliant, it was a long day but we saw lots of the country so it was worth it! Luka was a great guide, he gave lots of local information and was really kind to us all. Highly recommended! Luka gave us a fabulous day. I loved the whole tour and wouldn't change a thing. EXCEPT that it might be nice to have an option to spend more time in Durmitor instead of doing so much driving down to Ostrog, which was amazing but Durmitor was really spectacular. Loved it and have already recommended it to friends! We enjoyed the trip with Slobodan very much! Quick ride, very interesting stories, lovely views. Thank you! I'd like to recommend the North Montenegro trip to everyone! If you don't travel by car and want to see the insights of Montenegro then it is worth every penny. Staff really knowledgeable and all very well spoken English. Our tour guide Slavko was fantastic, he engaged with us throughout the trip and he's one funny guy! Although you spend most of the time in a bus, you get to see places that you wouldn't be able to explore on your own and get to hear the history behind it all! We are really happy that we have decided to go on this tour! Great day and plenty of things seen. Slavko, who knows plenty about the country is a great guide and one really gets to hear and learn a lot about the country, places visited and overall - life in Montenegro. The trip is very well planned in terms of time and allows one even to enter and see the inside of the beautiful Monastyr Ostrog.. Slavko knows really great spots for photos so one can really take advantage of the beautiful scenery and make photos from the best viewing points. We are planning to be back to Montenegro, and if only we will be in Kotor, we for sure will go on some other tours as the quality is great and one really gets to see a lot while enjoying the ride . 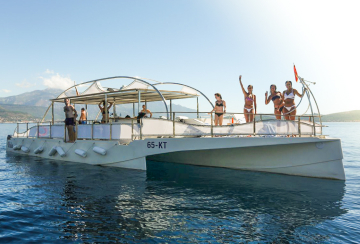 The best way to discover Montenegro! We went on a tour ‘North of Montenegro’ which covers 5 out of 10 places-to-visit of the country. What a discovery! Brilliant guide, amazing scenery all the way, tasty food and so many discovered treasures from Kotor Bay protected by UNESCO to Tara canyon - the world second deepest after the Great canyon, Durmotori National Park with its glacier lakes to the Ostrog Monastery hidden in the mountains. Highly recommend! The trip to North Montenegro was super informative and magical. Specially that our team leader was very fun to travel with. He really took care of all of us. We saw other fantastic part of Montenegro which I’m so grateful to 360montenegro. 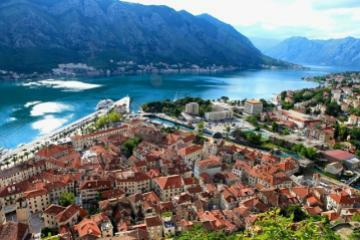 This is a MUST do trip that you should do when you travel to Kotor. Loved every part of it. Excellent tour! Excellent host! Thank you! Brilliant tour ... worth every penny and more ! The tourguide was very nice! Ossom guide, amazing locations, good food, comfortable bus and excellent driver - it was a perfect day! The North Montenegro Tour was a real pleasure even though we drove a lot of kilometres, it was worth it! The black and salty lake are beautiful and the ostrog monastery stunning. The whole team made us feel welcomed and everything was perfectly organized. We wanted to specially thank our guide Luka who made the trip even more special. He knew and told us a lot of interesting things and always had a joke on his lips. He was very caring for each of us. Such a fun trip with beautiful scenery! A great way to see some of the North of the country if you don't have time to spend multiple days there. Slobodan was a great guide with lots of knowledge about Montenegro and the areas we visited. Would definitely recommend! Great tour where you see a lot when you travel through Montenegro on your own without a car. Our tour guide was very nice, very good, told us a lot and was very flexible - good atmosphere. Also the small group size was a great plus! Slo was amazing had so much fun and such a great tour! I took the North Montenegro tour in mid-July. That day we were only five, so we were in a mini-van which was very comfortable. I felt like I was having my own private tour. Our driver/guide Ognjen was awesome (as he always is). 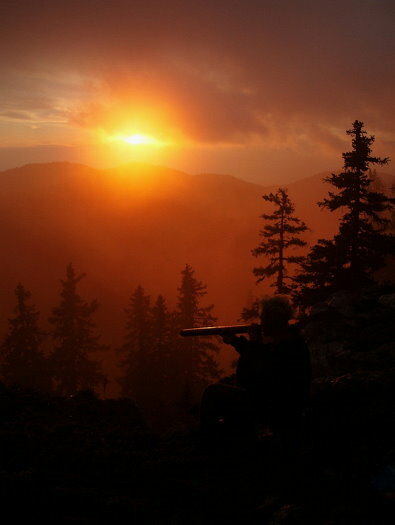 It was a long day but with the breaks and sights in between it passed quickly and at the end I didnt want it to end. Even the places we drove through were looking so good that I didnt want to fall asleep so that I dont miss anything. Tara zip-line was awesome, I recommend it (though it lasts less than a minute). And try to walk the bridge, otherwise you dont appreaciate the place enough. Similarly in Durmotir we had one hour and it was kinda short (but couldnt be longer as it is very busy day already, so one option could be not waiting for anyone and discovering it on your own. 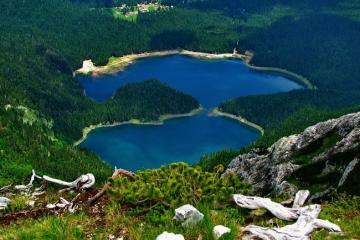 For the price/value, it is definetely worth it as you see how beautiful Montenegro is. Great north tour of Montenegro with Luka. He is an awesome guide - knowledgeable, professional, enthusiastic and personable. Seen so many sights in just one day. Totally recommend Luka and the agency! Luka our guide was excellent. Informative, funny, accommodating and knowledgeable. We will certainly recommend. We had a great tour and saw some beautiful parts of Montenegro. Thank you. Kind regards Sarah and Alan. The guide was Slobodan was very knowledgeable and friendly. The tour was excellently paced and executed- it never felt rushed, though it was over an entire day. Great experience that I would highly recommend! 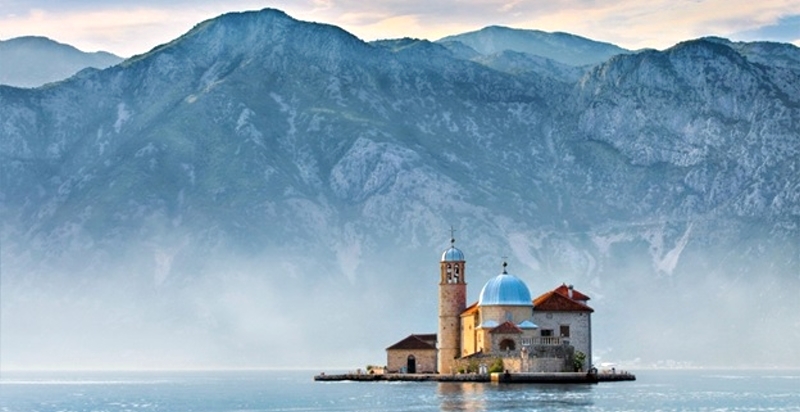 There's a lot of things to see in Montenegro but so little time to do so. It's our first time in this beautiful country and to maximize our time we booked 360 Monte's North Tour to Durmitor, Tara and Ostrog Monastery. It was a great experience! Slavko, our guide was really informative. We have learned a lot about Montenegro's history because of his stories. We also gained a lot of friends during this trip and until now we are in touch with a couple of them. You are awesome 360 Monte! Please create more tours/activities in Montenegro and continue to give happiness to your guests. Thank you for a wonderful Northern experience! The driver（guide）was very nice. Thank you! The tour was great and Slobodan was an awesome guide !!! My only criticism is that the number of sites we visited over the course of the day required a lot of driving at high (and sometimes slightly scary) speed. Other than that we appreciated the variety and fun/interesting activities. Extensive tour round a number of sites in north Montenegro very informative tour guide who told us lots about the history of, Montenegro,had a beautiful view of kotor bay,then drove into the north of the country stopping for breakfast,before heading to the National Park walking round a lake,visiting a canyon and to finish a fantastic monastery. 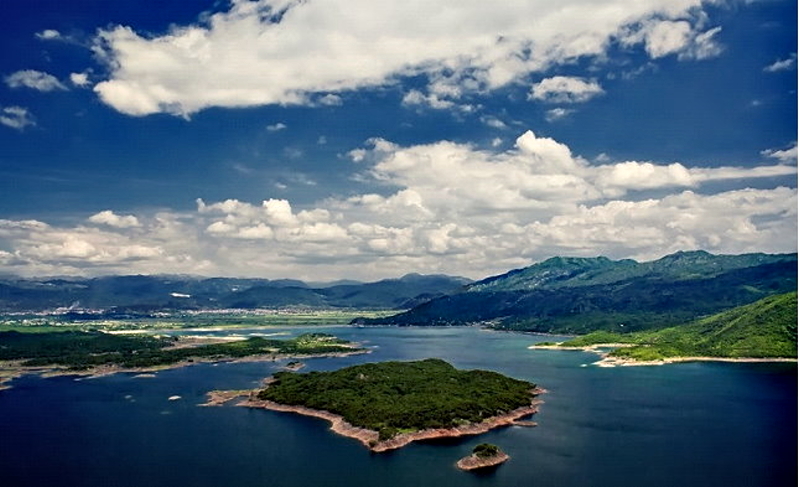 The tour enlightens you about the nature and culture of Montenegro. The views where breathtaking and the lake was picturesque and postcard worthy . The guide was amazing and very knowledgable about the country and the locations we visited. As it is the northern part of the country it does require a lot of driving but was an amazing day. Hello from Italia! Excellent tour, amazing guide and food, strongly recommended!! Awesome tour and good itinerary! Nicolina was our guide and she showed us a beautiful north part of Montenegro. I highly recommended thist tour! Very good tourguide, very likeable. I had a very good time and would highly recommend this Tour to anyone :-) thank you so much! The tour is really great. Our tour guide Slobodan is excellent in giving us the narratives of the places and we truly enjoyed ourselves during this trip! Great tour with an excellent guide. Nice variety of sights visited. The North Montenegro tour on 11.5. was wonderful! Our tour guide, Slo, was extremely knowledgable and helpful throughout the day. Even though there were a lot of stops, I never felt rushed or pressed for time at any of them and was able to truly enjoy each experience. I was especially grateful that we were able to walk up to the Ostrog Monastery alongside those completing their pilgrimage in celebration of the feast of St. Basil. The tour was extremely well organized with good timing, great food and Slo could not have been a better guide! Slodbodan was a fantastic guide and the driver was great as well. I’ve been on two of their tours: the great And the north tour. Both of them were awesome and the tour guides too. Last time we went with SlavkO and He took good care of the passengers. My tIp: do both tours! !